Only the low handicapper should attempt the carry over the dogleg. 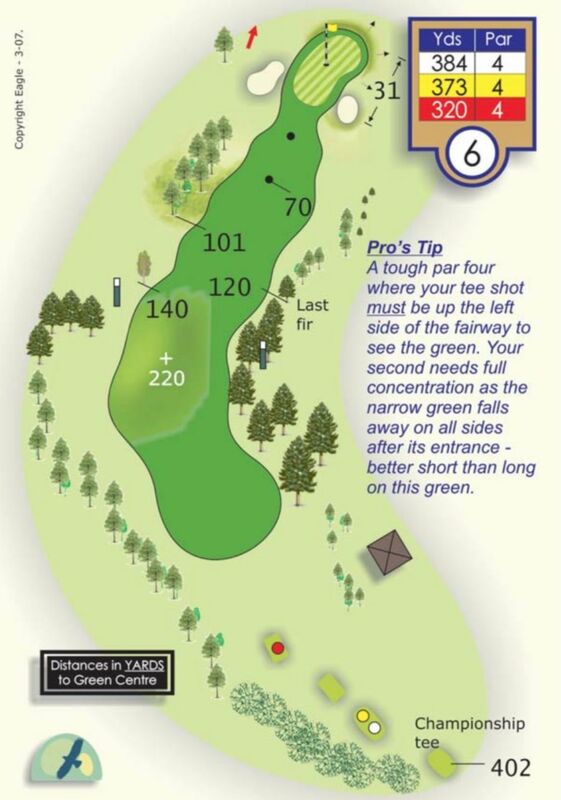 Us mere mortals should aim to drive straight up to the corner of the dogleg, leaving a mid iron to a tough green to hit. Par is always a score to take here.